This year’s IBC broadcasting trade show which just finished in Amsterdam attracted 50,947 visitors over the course of its six days – up very marginally on last year’s 50,462 attendees. 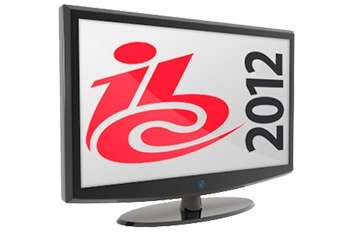 “That we have drawn a record audience at a time when there are still economic challenges in many parts of the world – and when broadcasters are dealing with massive events like the London 2012 Olympic and Paralympic Games and US presidential elections – clearly shows that, above all, IBC is relevant to people at every level in our industry,” said said Michael Crimp, CEO of IBC. The event attracted over 1,400 exhibitors, spurring the organisers to create a fourteenth hall for the first time (awkwardly shoehorned in front of the biggest entrance), called the IBC Connected World.